CONTROVERSIAL Dewsbury businessman and would-be political fixer Tahir ‘Terry’ Zaman has been struck off as a director for six years, after nearly £600,000 went missing from one of his companies. 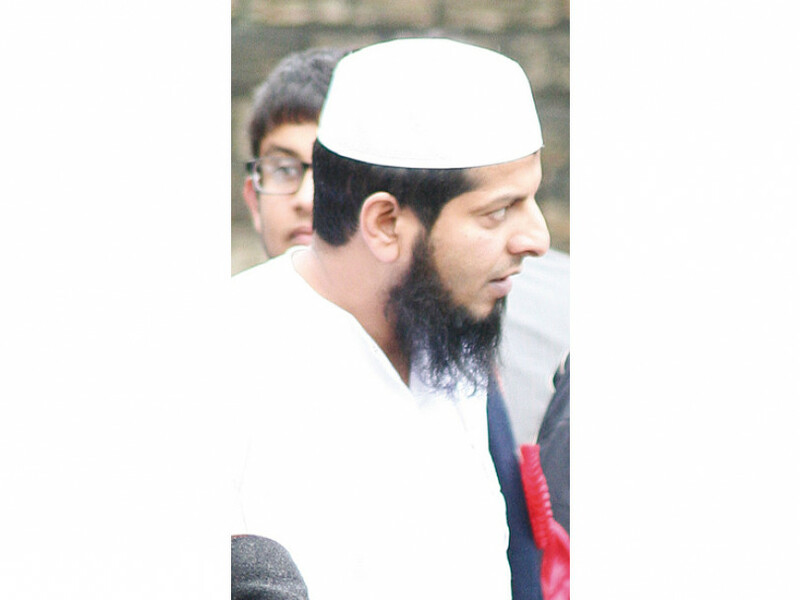 Zaman, of Heckmondwike Road, Dewsbury Moor, has been in and out of trouble with both the authorities and courts for the past 15 years, and played a major part in the expenses disgracing of his close friend, ex-MP Shahid Malik. Zaman was registered with Companies House as running or owning more than 20 businesses under three different names – Tahir Zaman, Tahir Mahmood Zaman and Taheer Mahmood Zaman, involved in everything from bed and furniture manufacturing, building development and letting, plus clothing and footwear retail – the Yey Group Ltd, over which he was struck off. Other Zaman companies have variously gone into administration or been liquidated over the years. In striking Zaman off from March 15, The Insolvency Service said £168,490 was withdrawn from Yey Group’s accounts from August 3, 2015 onwards, with no invoices or records. Unaccounted payments totalling £230,000 were made to Zaman between November 2016 and February 2017, and a further £190,000 to connected individuals or companies. The company was left with a VAT bill of £300,000 when it was wound up. Some of the companies he was still involved with, like Express Beds, his Zaman Foundation charity and Mibz Developments, appear to have been taken over by his wife Noreen and their sons Yusuf and Eesaa. Eesaa runs a recently incorporated company Yahya Hajj Travel, based at the Courts banqueting centre in Grove Street, Dewsbury. Terry Zaman had previously resigned as a director of the Courts parent company, Kingsbury Banqueting Ltd.
Zaman was also behind the redevelopment of Yorkshire House in South Street and is believed to be a sleeping partner in Dewsbury’s Hunters Estate Agents. Hunters were involved in the third party marketing of another Zaman-backed plan to build luxury houses on part of the listed Hyrstlands estate off Track Road. That appears to have ground to a halt after a previous Press investigation raised questions about planning permission. Over the years Zaman has never been far from newspaper headlines. In 2005 he was fined for letting a house unfit for human habitation and thrown off Kirklees Council’s landlord list. When he was describing himself as managing director of his brother-in-law Mohammed Rafiq’s Ravensthorpe bed company, Kozee Sleep, he outraged locals with plans to introduce round-the-clock shifts. Rafiq was later jailed for human trafficking offences and Kozee Sleep went bust. Before it did, much of Rafiq’s property portfolio appears to have been transferred to Zaman. Zaman’s plans to build a madrassah next to his Heckmondwike Road house were thrown out, as were plans to triple the size of an old people’s social club in Westborough that he bought and turned into a mosque. He was fined £18,000 for fire safety breaches at his Joseph International bed firm which subsequently collapsed, owing over £1million. UK Border Agency officers have twice arrested suspected illegal immigrants at his companies. As home and office landlord to former Dewsbury MP Malik, Zaman dropped his friend in it when telling reporters he paid only a nominal rent – Malik was claiming significant sums and Zaman soon retracted his account, saying all their transactions were in cash. Despite being a significant figure in local Labour Party circles, he later surfaced promoting Dewsbury solicitor Imtiaz Ameen as Conservative candidate for Batley and Spen MP. After The Press last exposed Zaman’s business activities in 2016, he commissioned a special edition of an independent newspaper published in Bradford, featuring a front page attack on Press publisher Danny Lockwood. The newspaper was sent to newsagents across the district, Kirklees councillors, residents of the York village Mr Lockwood lives in, plus directors of puzzled rugby league clubs across the country – Lockwood also owns the League Weekly publication. Among other things, articles accused The Press of exploiting young people with learning difficulties to deliver the newspaper. Kirklees officials confirmed that the young people were both paid and supervised, and applauded the company for its efforts. Mr Zaman did not respond to requests to comment.